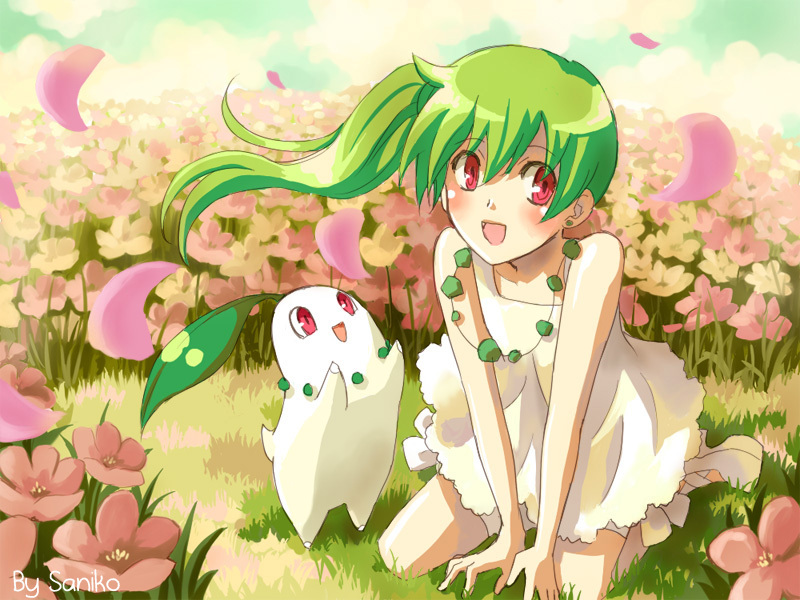 Chikorita Girl. A girl with green hair and her chikorita. HD Wallpaper and background images in the Pokémon club tagged: pokémon chikorita girl chikorita.